The guardians of the Camargue in the Feria du Riz in Arles. All photos ©Robert Bundy. I’m standing on the sidewalk on a bright, sunny September afternoon in the south of France. A lovely young woman dressed in late 19th century clothes walks past me, her eyes modestly averted. 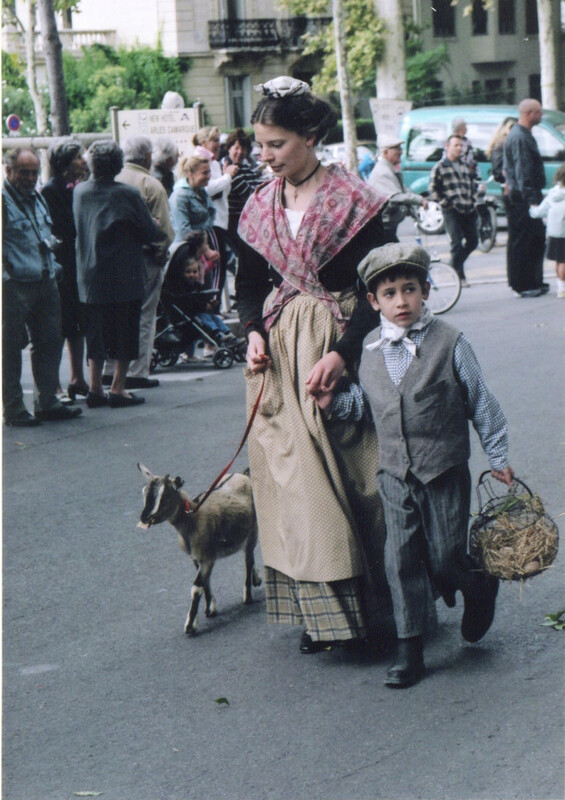 In one hand she holds a leash leading a baby goat, and in the other she leads a small boy who looks like a Dickensian paperboy. More people stream past, some dressed as Roman soldiers, others as medieval archers, and still others attired like Renaissance royalty. An adorable collection of grandmothers ambles down the street costumed as brightly colored vegetables, including a smiling ancient lady who is dressed like a bulb of garlic. 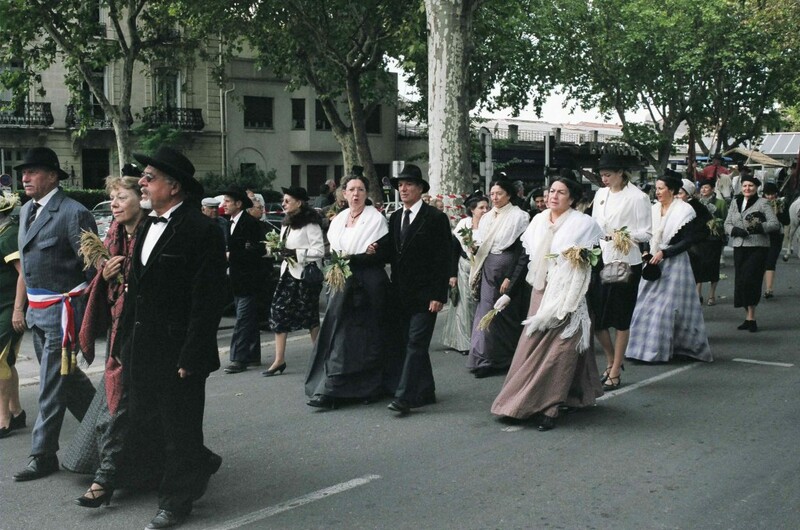 I’m in Arles for the annual September Feria du Riz, or Rice Festival, celebrating the harvest of rice in the Camargue, and the locals are acting out the story of their city’s history and its riches in a parade to celebrate. I do. But I’ve never much cared for the huge, corporate pageants with gargantuan inflatable mascots trotted out for the benefit of television and tourists. I like the small town versions, where seemingly half the population is in the parade while the other half watches from the sidelines and cheers on their neighbors. It’s not just for the tourists. The tourists, at this point, are mostly gone for the season. Even though I’m watching a parade — the most presentational thing imaginable — there is a giddy lack of self-consciousness in many of the participants. The paraders and onlookers laugh, wave and call out to each other as they pass. This is for them. A moment later, four men on horseback dressed like cowboys — well, like cowboys on their way to church — trot past. Each carries a long, wooden lance. 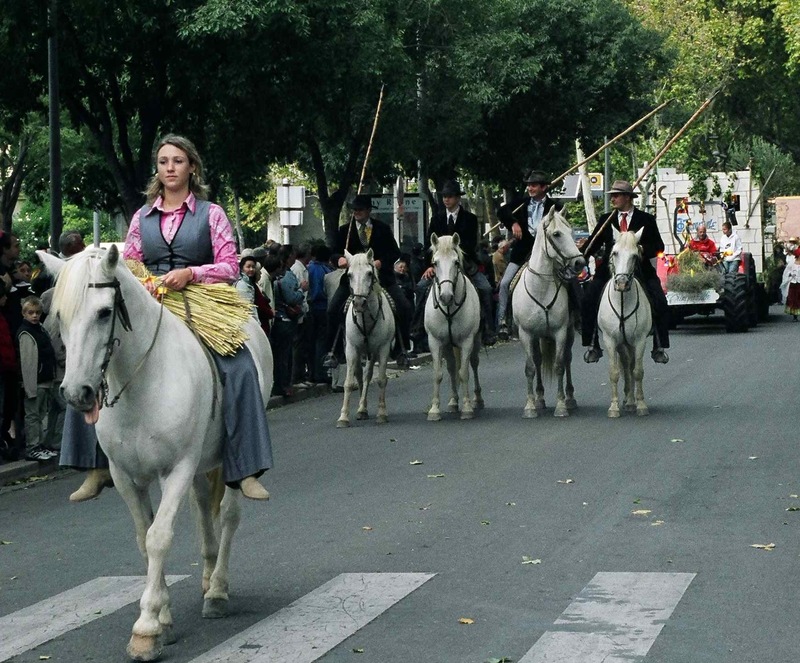 These are the gardians, Provençal cowboys that raise and tend the famed Camargue bulls. They carry themselves like knights as they trot down the broad center of Boulevarde Émile Combes. A wave of dignified older couples is next, fondly linking arms, the men in fine, dark suits and the women in hats and long, flowing dresses trimmed in lace. A younger group of women holding hands in a human chain demurely make their progress down the lane under the canopy of plane trees. All of them wear the traditional Arlesian dress that dates back to the late 18th century when the women of Arles were said to be the loveliest in the world. Many clutch cuttings of lavender, and as they pass I catch a whiff of that sweet, herbal fragrance. The parade continues with hand-decorated floats, each celebrating some essential element of Provençal life. There’s a float dedicated to bees and their honey, another to lavender, and yet others representing olive oil, and the making and judging of wine. It’s a procession of all of the humble yet wonderful things that leap to mind when we recall our visits here. There are also some pleasant surprises. Santa Claus makes an early, pre-season appearance on a large float, but he’s a gray-bearded African man — why not? — dressed in overalls and a plaid shirt along with his more familiar red cap. As he tosses out candy to the children, the teenage girls playing his elves boogie to the prerecorded strains of Michael Jackson. You won’t find a description of that in the Peter Mayle books. 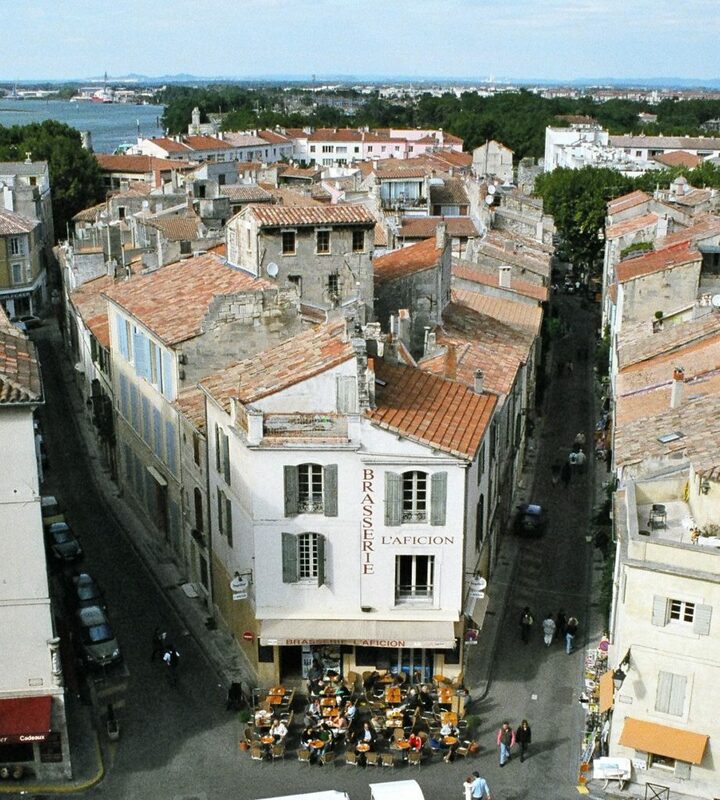 Arles is hardly a secret. People have been coming to this gateway to the Camargue for thousands of years. The Phoenicians were here as far back as the 6th century B.C., followed by the Celts and then, in the 1st century B.C., Rome built an outpost here. 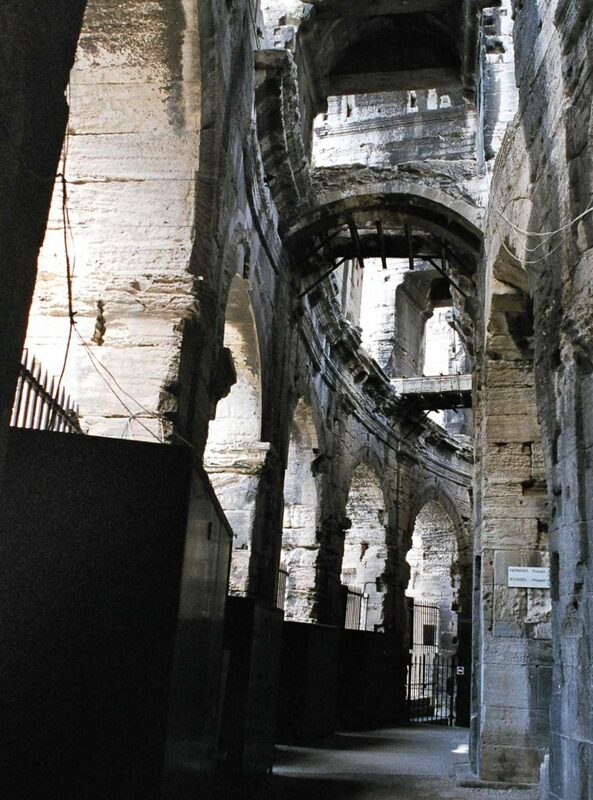 Gaius Marius started construction on the Fossae Marianae, a canal that connected Arles to the sea, and it became an important military and trade center. 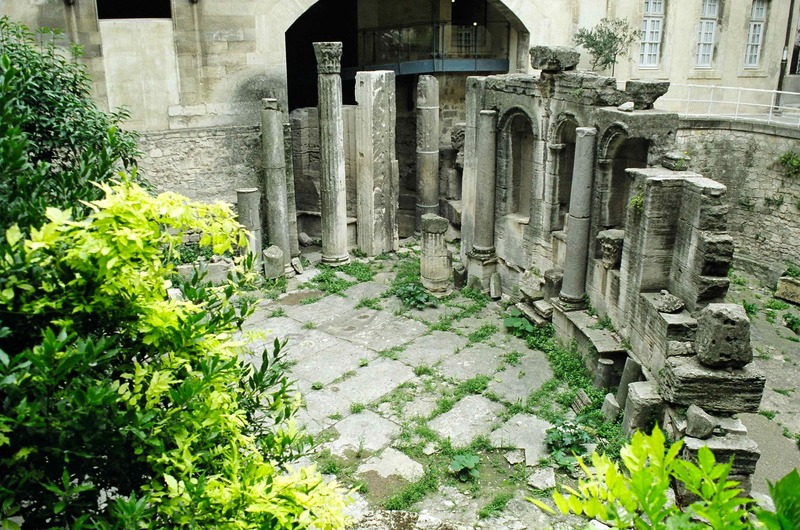 In the 1st century A.D., Julius Caesar made it the capital of Roman Provence. 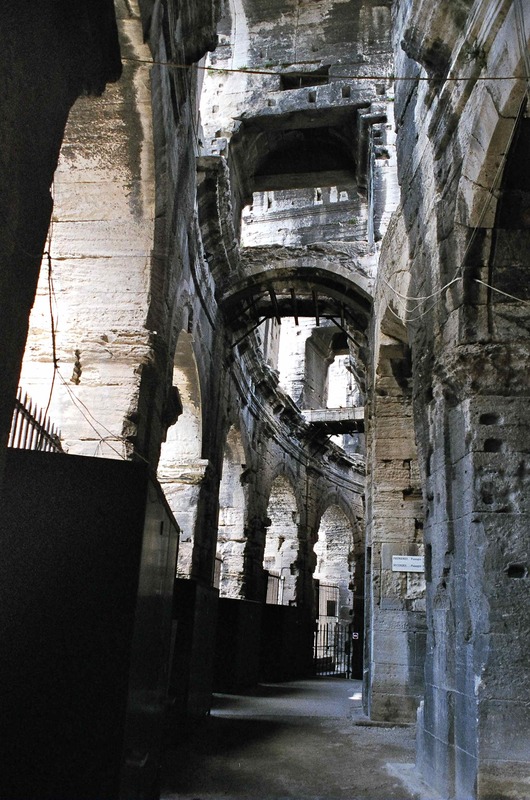 When Rome fell in the 5th century, Arles was overrun by the Goths, then the Saracens, and the Vikings, and now– particularly in summer– the tourists. 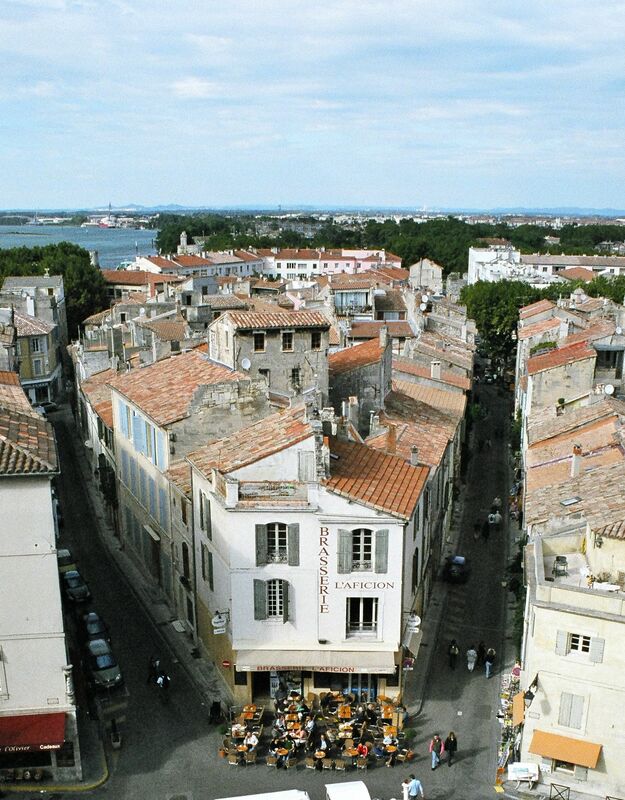 Many visitors flock to Arles to follow in the footsteps of Van Gogh, who was inspired to paint more than 200 canvases during his short time here. Modern-day painters and photographers are still drawn by the supernatural quality of the light, and the city hosts one of the world’s most celebrated international photography festivals, Les Rencontres d’Arles in July, now in its 42nd year. 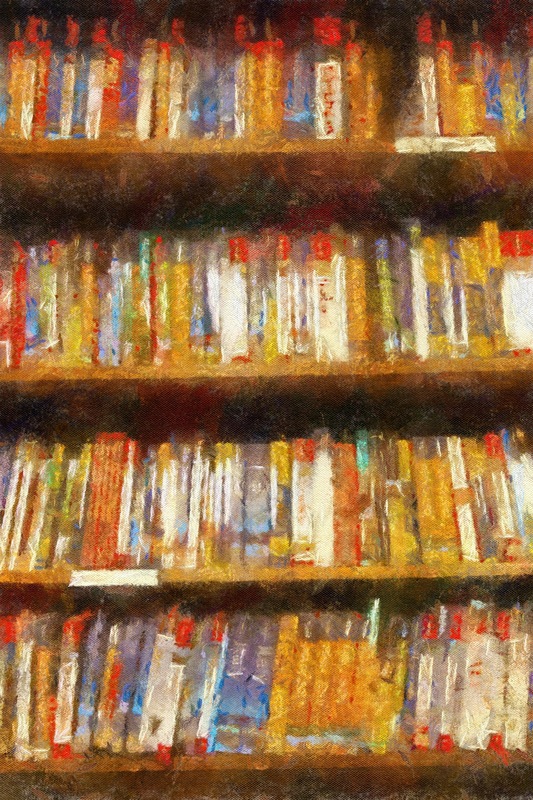 And of course, the popular Peter Mayle books have lured many to experience the beauty of this and other neighboring villages, walk through history, sample the mind-blowing cuisine, and bounce from one vineyard to another, tasting all the way. The charming parade is only a small part of the festival, which is actually centered on the ceremony of the bullfight, held in the 2,000-year-old Roman arena. While the traditional Provençal bullfight is bloodless, during the festival the full corrida, or Spanish-style bullfight is performed that results in the death of the bull. I’ve seen it in Madrid many years ago, and frankly, it’s not my cup of tea. But this is a ritual — I’m loathe to call it a sport — that has been practiced here to one degree or another since ancient Roman times, so judge for yourself. Be forewarned, however, that you will see a lot of blood soak into the sand, and the bulls do not die quickly. Even the Spanish are conflicted about the killing, and recently the regional parliament of Barcelona outright banned the practice in Catalonia effective in 2012. Hemingway must be rolling in his grave. Let him roll. On the other hand, the traditional Provençal bullfight, or course camarguaise, is far different than its Spanish cousin. First of all, they don’t kill the bull. The goal of the participants or raseteurs is to get close to the bull, use a small hook to seize a rosette from between the bull’s horns, and then run like hell. It’s hilarious and, for my money, far more entertaining than slowly killing the animal. The raseteurs are unarmed, and the bull always leaves the ring alive and completely unharmed, if perhaps somewhat baffled and irritated. If you want to see this form of bullfight however, you’ll have to visit Arles at a different time of year. Another advantage of visiting during the festival is that many local museums offer free admission. 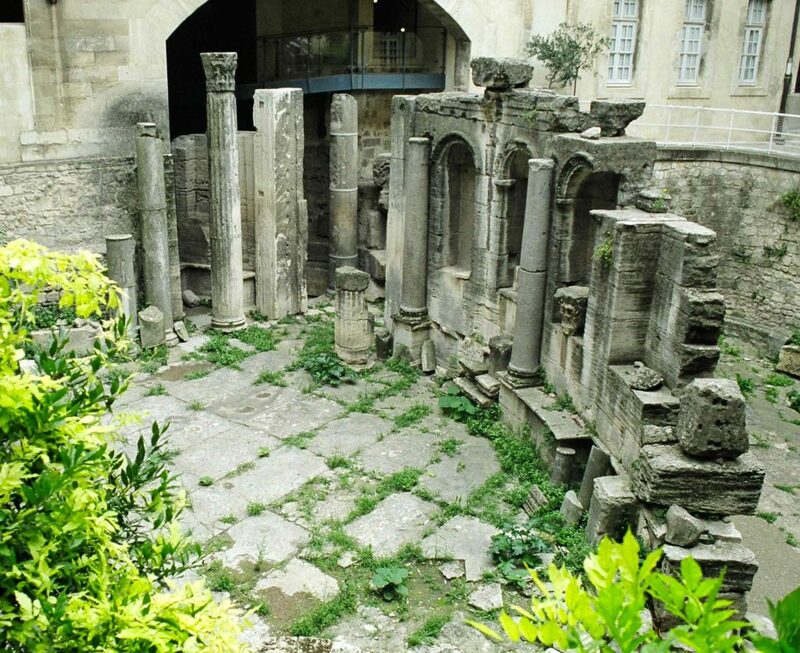 Be sure and visit Musée Arlaten, housed in a building that also encloses the ruins of the old Roman forum, for an interesting look at the history, folklore and authentic furnishings of the people of the region. There are a lot of Roman ruins to see, including remnants of the city gates, the arena that dates to 90 A.D. (if you can’t stomach the bullfight, you can tour it in the afternoons before the corrida begins) a theater from the time of Augustus that is still used for events, the thermal baths of Constantin, an impressive necropolis on the outskirts of town (the Romans didn’t bury their dead inside the city limits) and the Musée de l’ Arles et de la Provence Antiques, a terrific museum of Roman history crammed with fascinating artifacts, also free during the festival. There are many more things to do and see in Arles, but what resonates about Provence in general, and Arles in particular, are the little things and the quiet moments; watching the light change across the face of the weathered buildings; gathering a picnic from the Saturday market and enjoying it on a grassy spot overlooking the Rhône River; lingering in the quiet courtyard of the cloisters of St. Trophime; killing an hour people-watching with a glass of pastis at Brasserie L’Aficion in the shadow of the 2,000-year-old Roman arena. Year around, Arles offers a succession of such small pleasures. Whenever you go, make sure you take some time to enjoy their parade.